Onslow Square is a garden square in South Kensington, London, England. The square lies between the Old Brompton Road to the northwest and the Fulham Road to the southeast. To the north is South Kensington Tube Station. To the south is the Royal Marsden Hospital. As well as the main square, the address covers the street to the southwest that turns into Onslow Gardens, and the street to the northwest that meets Pelham Street by South Kensington tube station. 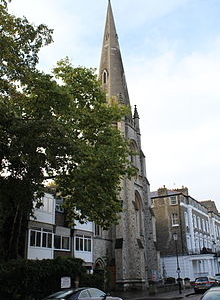 St Paul's Church in Onslow Square was created as a part of Sir Charles James Freake's development of the square. The church was built during 1859–60, designed by James Edmeston together with Charles Freake's office. In 1876, a church hall was constructed south of the church. This was extended in 1893. The church is now administered by Holy Trinity Brompton Church. Here's the our members favorite photos of "Plazas and Squares near Kensington and Chelsea". 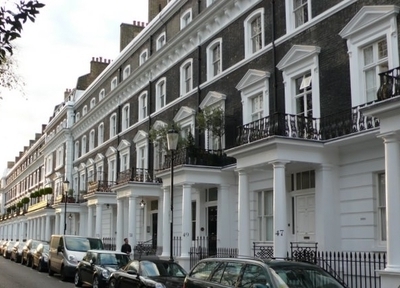 Upload your photo of Onslow Square!